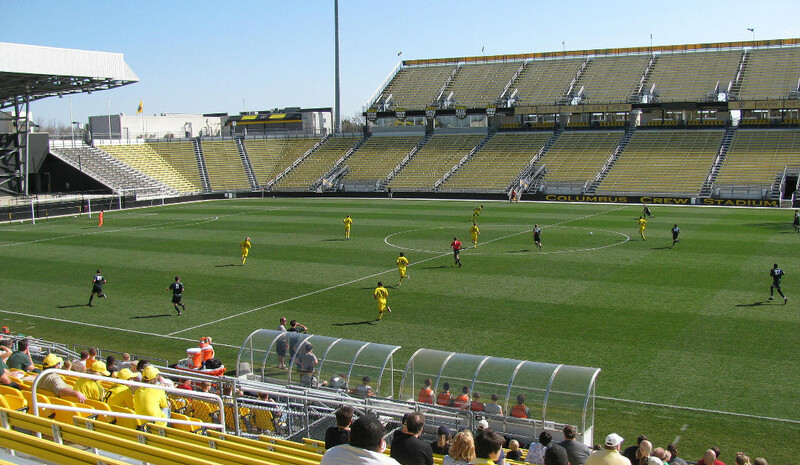 Mapfre Stadium, previously called Columbus Crew Stadium, was the first soccer-specific stadium of the Major League Soccer. It opened on 15 May 1999 with a match between the Columbus Crew and New England Revolution. Construction of the stadium had cost $28.5 million. The stadium hosts a permanent concert stage and regularly hosts open-air concerts. 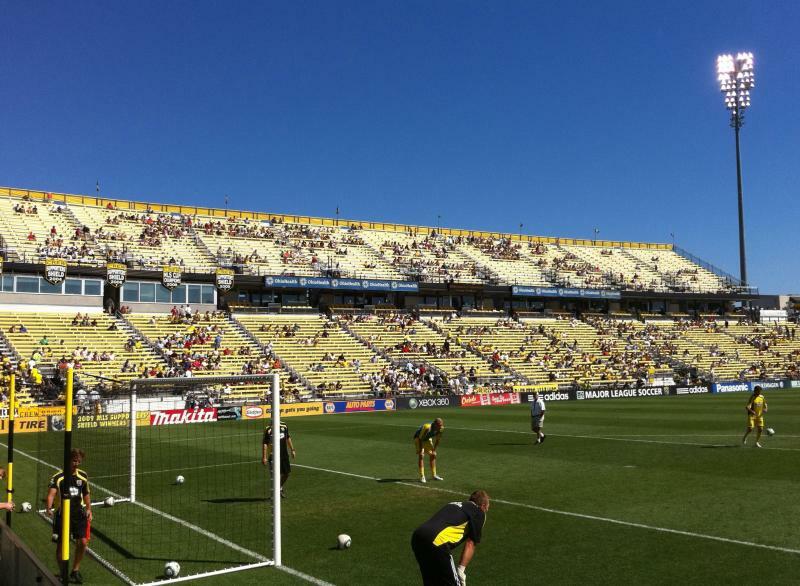 In 2015, Crew Stadium got renamed Mapfre Stadium following a sponsorship deal with insurance company Mapfre Insurance. Mapfre Stadium is one of the most-used stadiums for the US national team and in particular the USA vs Mexico match-ups. 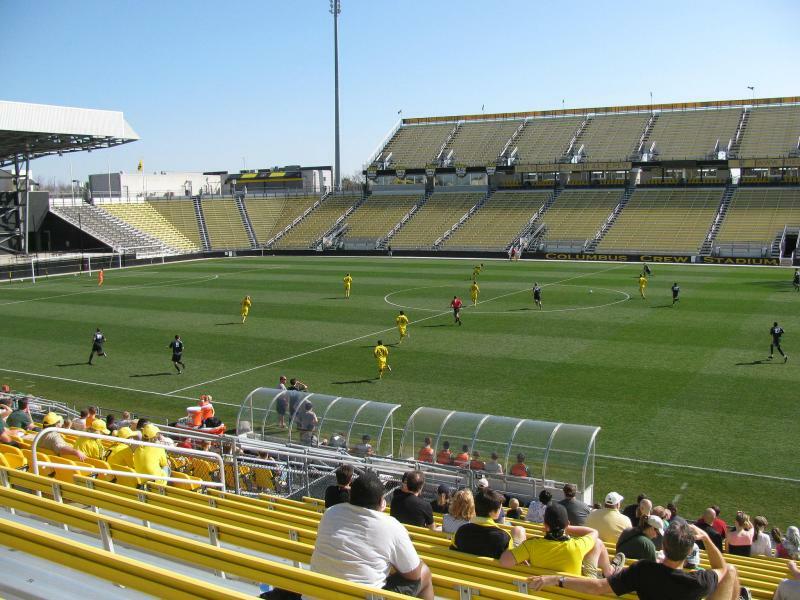 Mapfre Stadium is located in the north of the city of Columbus, about 3.5 miles from downtown Columbus and not far east from the Ohio State University Campus. The stadium lies adjacent to the I-71, which runs between Cleveland and downtown Columbus. From the I-71 take exit 111 toward 17th Avenue. Turn west onto 17th Avenue and directly right following the sign for Crew Stadium. If arriving by public transport, Mapfre Stadium can be reached with bus 4. Take the bus from Capital Square (corner E Broad Street and S High Street) or further north from N High Street. The bus goes in the direction of Indianola. Get off after about 15 minutes at the corner of N 4th Street and E 17th Avenue. From there it’s an approximate 15-minute walk to the stadium. Buses run about once every hour. Columbus Crew tickets can be bought online via Ticketmaster, by phone +1 614 431 3600 (Ticketmaster), or at the ticket office at the stadium. If tickets remain available, these can also be bought at the ticket booths of Mapfre Stadium on the day of the match. Ticket prices range from $28.00 for a seat behind the goal to $70.00 for a central seat at the West Stand. Tickets can cost a few USD cheaper if bought in advance. Email ticketoffice@columbuscrewsc.com for more information. Thecrew.com – Official website of the Columbus Crew. 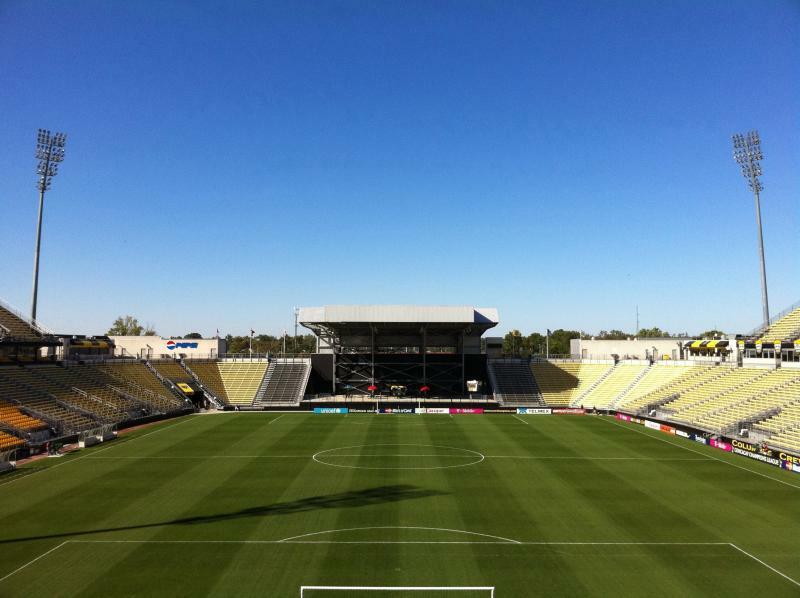 Crewstadium.com – Official website of Columbus Crew Stadium. Experiencecolumbus.com – Website of the Greater Columbus Convention & Visitors Bureau. Cota.com – Columbus public transport information.